Push your page's form fields to the fields in your other tools. ⚠️ Note: When mapping form fields in Landing Lion to your integrations, make sure the Landing Lion "Field ID" in the form matches the field ID (property or tag name) for that corresponding form field in your integration. 1. Visit "Settings", found in the dropdown at the top left of the navigation pane. 2. Go to "Integrations" tab. 3. Click "Map Form Fields" for the integration you want to map. 4. Click "Add Form Field Mapping" to add a new mapping. Otherwise, select the Landing Lion field on the left that you would like to map to a custom field in your integration to the right. ⚠️ Note: For MailChimp, only text Merge Fields can be used. Create text-type Merge Fields in Mailchimp. 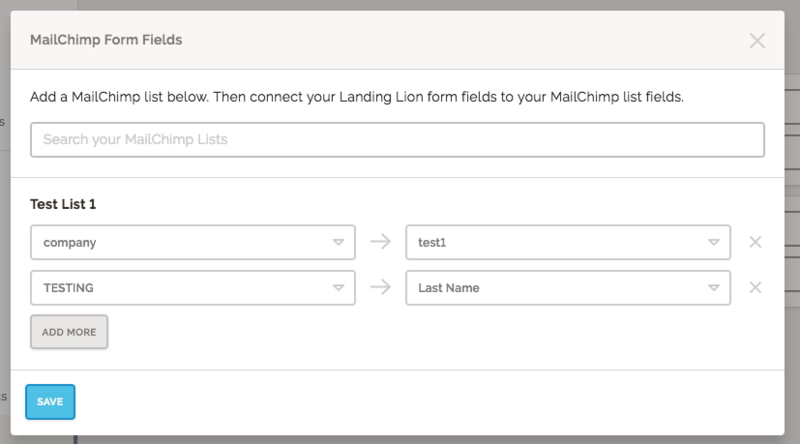 ⚠️ Note: You will need to create a form field mappings for each MailChimp list. Add a new list using the input field at the top of the modal, below. 5. Click "Save." 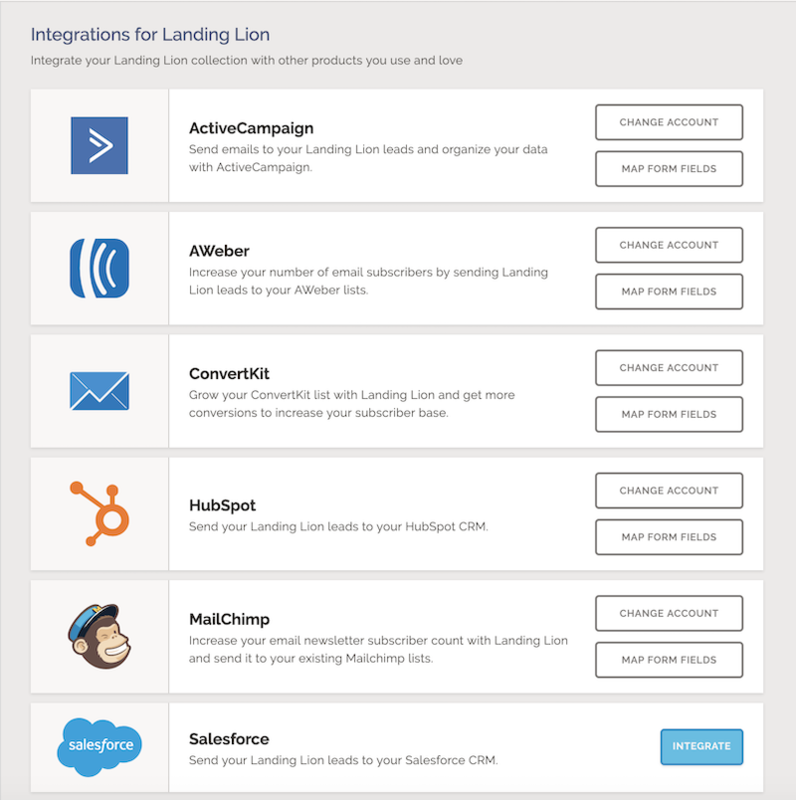 Now, whenever a Landing Lion form is submitted, the mapped form fields will be added to the contact in your integration.